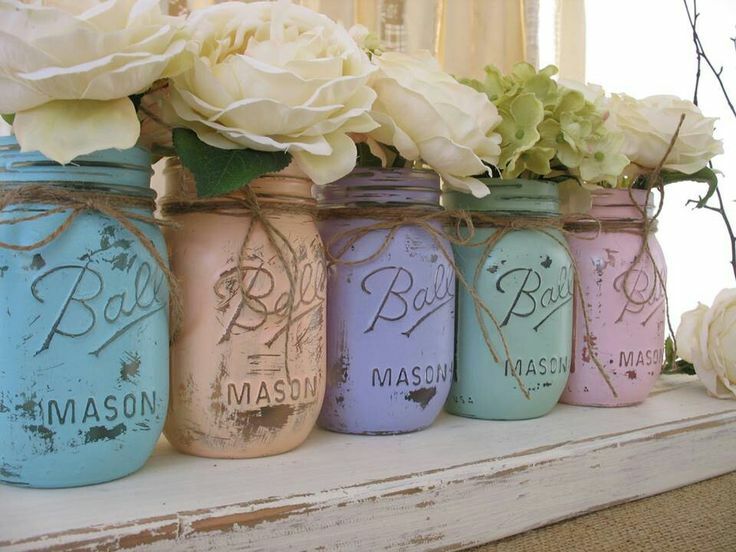 Our new favourite thing- decorating with mason jars!! Simple, effective and done on a shoe string, customise to your heart’s content. Start saving sauce jars, baby food jars or even milk bottles, you’d be surprised at how quickly you’ll build up a collection, the more mismatched the better. Have a hunt around the house for odd bits of lace, ribbon or string. Use them to wrap your jars and TA DAH! = a gorgeous thrifty flower vase. 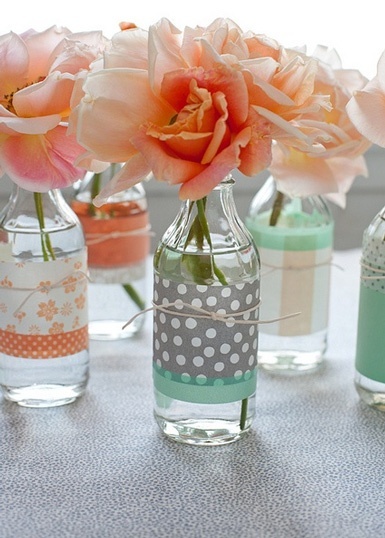 Mix up the colours and source some patterned paper and string. Match it to your decor or change it with the seasons. An instant way to add a bit of interest to your decorated jars…stand them on a piece of wood, the more misshapen and rustic the better. 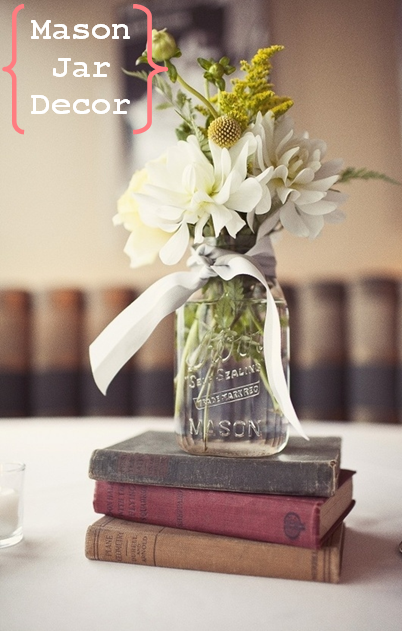 Go for a vintage look and stack some old books on top of each other to create a platform for your jar. 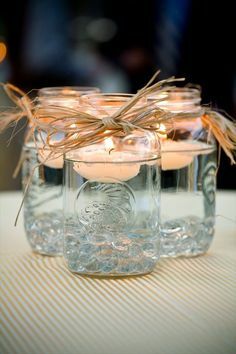 The perfect tea light holder, fill your jars with water, tie a piece of string around the top and create the perfect table centrepiece. Follow the pastel trend and create a rainbow for your windowsill. This look can easily be achieved using chalk paint to cover and sand paper to rough up the look a little bit. Keep your eyes open for a silver tray like this or hunt a charity shop for a retro floral tray. Have you fallen in love with this simple diy decor as much as we have? Let us know!